Tesla CEO Elon Musk really, really wants to keep tweeting without any other adults looking over his shoulder, despite a settlement with the Securities and Exchange Commission last year ordering him not to send out tweets that could affect Tesla’s stock without getting pre-approval from company officials. At issue is a Feb. 19 tweet in which Musk tweeted, and then corrected, inaccurate numbers on Tesla vehicle production rates without having it reviewed beforehand. The SEC recently filed to hold Musk in contempt for the post, which it said violated an settlement imposed in 2018 after he falsely claimed he had “funding secured” to take Tesla private at a share price of “420.” The agreement required Musk to resign as chair of Tesla’s board, pay tens of millions in fines, and pre-clear potentially “material” posts about the company with staff. According to the SEC, Musk has never done that last thing. The SEC recently issued a blistering court filing claiming that Musk was continuing to tweet inaccurate information about the company in defiance of the settlement, calling his reading of the agreement a “tortured analysis” that “borders on the ridiculous.” Musk’s legal team responded on Friday, according to the Verge, and in legal filings laid out his case. The key question is whether Musk complied with Tesla’s Policy, not whether the SEC is satisfied with Tesla’s Policy. Tesla’s Policy does not make any Tesla-related tweet per se material. Instead, it incorporates the settled legal definition of “materiality,” which is context-specific and fact-dependent, and it lists subjects that “may” be material “depending on [their] significance. The Policy necessarily imposes an obligation on the executive to make an initial, good-faith determination as to whether a particular tweet requires preapproval under the terms of the Policy. This doesn’t move the ball forward much, as pretty much this exact argument was the one the SEC mocked earlier this week. Not only does Musk have a “demonstrated inability to discern potential materiality” in his communications, the agency wrote, the order requires him to seek pre-clearance before tweeting anything that “reasonably could” be construed as material. The agency also portrayed Musk’s arguments that this whole mess is somehow a free speech issue as nonsensical, noting his signing of the settlement waived those rights and that the power to enforce the agreement lies with the court, not a power-mad SEC. It also wrote that there was no free speech issue to address regardless, since it only imposes a requirement that he clear any relevant posts with his legal department before tweeting them out. 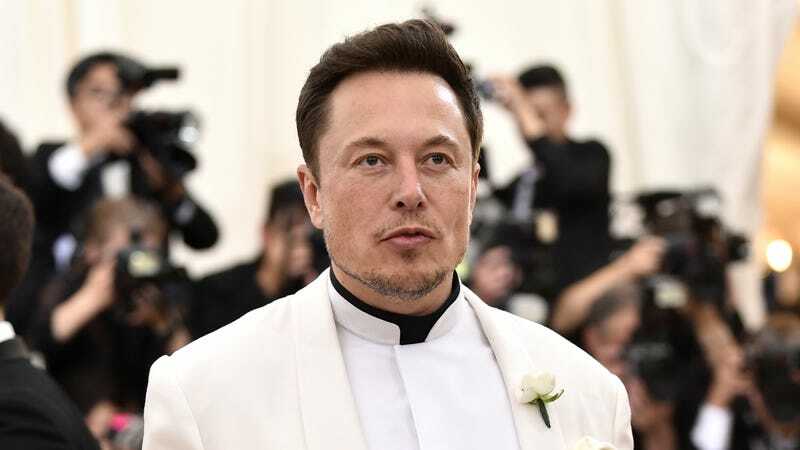 The Court’s order clearly mandates that Musk obtain pre-approval of written communications that contain or reasonably could contain material information and states nowhere that this requirement is subject to his discretion. Musk voluntarily waived the constitutional arguments he now advances. As the Verge noted, more interesting is that Musk’s Friday filings include documents from a prior version of the settlement which he never signed. That agreement would have subjected all of Musk’s public statements about Tesla, material or not, to pre-clearance by company staff. Musk’s legal team wrote in the filings that this was a “sticking point during the negotiations,” which resulted in Musk signing the current agreement with stricter terms but looser language around what he’s permitted to say. This sure seems like a lot of effort to go through to be able to continue issuing statements about Tesla on Twitter, but Musk is apparently very determined to keep posting. According to the Verge, the judge overseeing the matter said both sides have until March 26 to request a hearing on whether Musk should be held in contempt; the SEC has not done so, apparently confident that the court will agree Musk’s lawyers are spewing gibberish.